This year, Maryland has a historic opportunity to protect the health of 623,000 children who ride dirty diesel buses each day in our state. In early August, the Department of the Environment released a Mitigation Draft Plan describing how to spend the $75 million Maryland received from a settlement with Volkswagen after the company cheated federal emission standards. The good news is that $4 million of those $75 million will be allocated to upgrading polluting school buses. The bad news is that the Maryland Department of the Environment only allowed residents to submit comments until Friday, August 31 — just one month to process this plan and respond. 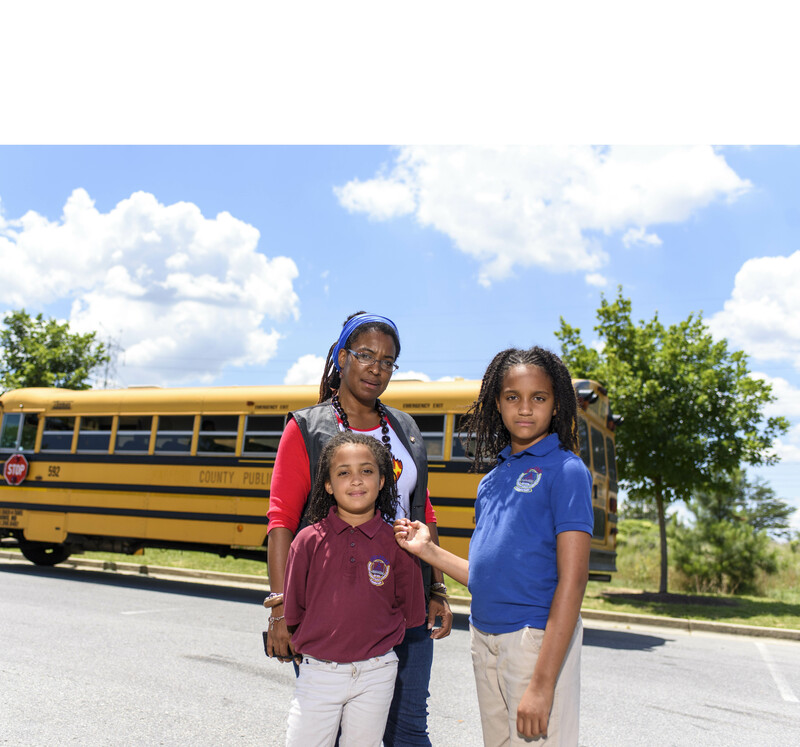 Parents have overwhelmingly spoken on this already: More than 6,000 petitions were turned in last year asking Governor Hogan to invest in clean, zero-emission electric school buses. I know because I’m one of those parents with Chispa Maryland’s Clean Buses for Healthy Ninos campaign, which is asking our state to do the right thing and replace diesel school buses with the cleanest possible alternative. I’m a mother of four young children, and I’m an active, concerned parent in my community. During the years I have served as the president of Rosa Parks Elementary School’s PTA, where we have seen an increasing number of kids fall ill with respiratory problems. At the same time, we’re seeing diesel-powered school buses and cars spew toxins into the air each day, polluting our communities everywhere they drive and everywhere they idle. Studies have shown that diesel especially hurts children, whose lungs are developing, and can cause or worsen asthma. Asthma is the number one cause of school absences. This is a problem we can fix. With the $4 million that Maryland has set aside to upgrade school buses, we can help school districts purchase electric school buses that won’t emit pollutants and put the health of our children at risk. I saw the effect air pollution has on our families first-hand when my son was diagnosed with childhood asthma. For five years, I watched him struggle to breathe. He has suffered asthma attacks on the school bus and had to miss class for doctor’s appointments and hospital visits. He couldn’t play sports; he couldn’t even play outdoors. Taking care of him meant not being able to work, staying on top of his medications 24/7, and worrying constantly if he’d make it through his next asthma attack. There are millions of other mothers across this country going through similar experiences. As parents and community members, we have a responsibility to keep them safe and healthy. That’s why, as a promotora with Chispa Maryland, I’m fighting to make electric school buses a reality for all our children. Our state officials have a duty to listen to us and to do what’s best for our communities. Maryland residents must continue to urge the Department of the Environment to make this worthwhile investment. Electric school buses may cost more upfront, but over their lifetime they cost less to maintain and to operate. Electric power is the ONLY fuel guaranteed to emit zero emissions. If we don’t transition to electric school buses now, kids are going to continue getting sick. They’ll spend more days in the hospital when they should be in class. Children shouldn’t have to pay for an education with their health. Let’s do this for our kids. Visit http://www.mdlcv.org/chispa for more information.